We participate in many events outside of our tasting room, and include some of them listed here. 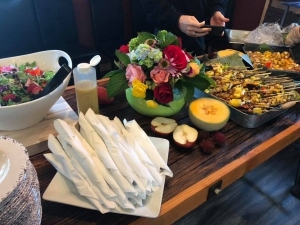 Whenever people like to hold private parties to celebrate with business associates, employees or just friends, and our new space allows us to accommodate larger groups and offer wonderful food options as well. Just give us a call at 360-321-0515 for details. 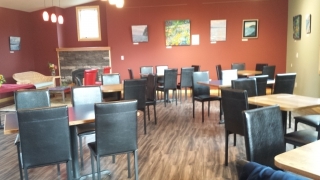 Come to Blooms Winery Tasting Room – fun every day, with live music every Sunday afternoon 4-6, Friday evenings 6-8 pm, 2nd Thursday Open Mic 6-8 pm, with other events on occasion as well. See the info on our Tasting Room page, or our facebook page for current listings on musicians and art, new releases and more. Red Wine & Chocolate – two weekends in February (9-10 & 16-17 2019) A multi-winery/distillery event put on by the Whidbey Island Vintners & Distillers Association over two weekends in February. We will have custom made chocolates created by Chef Wayne to sample with some fabulous wines! Purchase tickets through us or on brownpapertickets.com. Visit the Whidbey Island Vintners Association website for more details on tickets and dates. NOTE: adjustments due to heavy snow Feb 9-10. Tickets will be honored weekends through March 3rd! 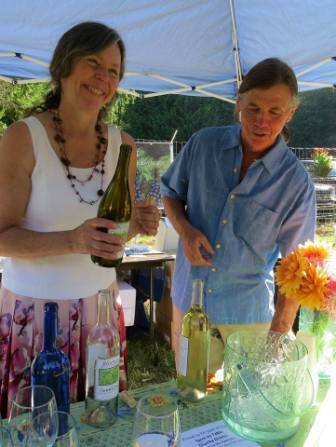 Mussel Festival, Coupeville– Look for Blooms wines in the Beer/Wine Garden behind the Rec Hall! March 2nd, 2019. Whidbey Island Vintners & Distillers Association event scheduled early November. This is to celebrate the completion of harvest and crush. A great time to stock up, as this is our annual case sale! See artists in action at many of the venues as well. We’ll have tickets! Blooms relies upon the good nature and strong backs of a lot of friends and neighbors, and we will be having a special party to thank them all! Volunteers and wine club members will be notified of the date via email. We offer our selections of two wines each four times over the year, or for those who need wines shipped we do two selections each year with four wines each time. We have the Charter Club for one red/one white each time, or the Red Cellar club for those red-only wine lovers. Get great deals on additional purchases, new releases, parties and more! Groups can use the tasting rooms for casual meetings of small numbers generally during the week. Our new space allows for private events and banquets that include food service by our Executive Chef Wayne Carter. Rotary Whidbey Westside meets here on Monday evenings. The Whidbey Island Local Lending and Whidbey Entrepreneurs groups meet on 3rd Thursdays here. Soroptimists have held installation banquets with us. Annual employee Christmas parties are held here. The local chapter PEO have had annual party and dances. South Whidbey Rotary has “Fifth Tuesday” events here. A birthday party is always fun here, we’ve seen many! A financial advisor hosts seminars at the tasting room. A local designer did a customer appreciation party here. Many pre-wedding “Meet and Greet” events. Bridal showers and Baby showers work well here. Girls weekend is more fun with wine tasting! Call 360-321-0515 for more info! Blooms Regularly Hosts Live Music and Art Openings. Click the Button to the Right to View the Upcoming Schedule of Tasting Room Events. Blooms pour wine at many of the local events and festivals, and are supporters of local non profit organizations. Our wines have been featured at WICA, Island Shakespeare Festival, Rotary auctions, Soroptimist events and many other fundraising events. In support of our community we have offered special labels and given a percent of the proceeds to Good Cheer Food Bank and our local Rotary Club, raising well over $1000 each time. Most recently, we offered special wines to commemorate the 100th anniversary and raise money for the Rotary Foundation, District 5050. 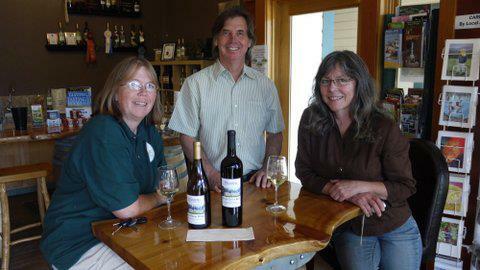 Below are winemakers Ken & Virginia with Good Cheer Food Bank rep Shawn after a successful fundraiser!